Talk about a tasty alliteration - am I right? I wish I knew the source to this recipe. When I graduated college (oh lord, 5 years ago now), I started compiling recipes in a binder in anticipation for living on my own (I moved into the cutest apartment downtown with my then-boyfriend after graduation). I printed recipes all the time and filled up the binder and, sadly, some don't have the sources on them - including this one. Some of the recipes I have made repeatedly, others I just never got around to trying. These cookies falls on the never got around to trying list. Probably for a couple reasons - I didn't have a food processor to properly grind up the cereal (I could crush the cereal with a rolling pin but this works best when the cereal is finely crushed) and I also just never ever had or bought Captain Crunch before. Before you freak on me, let me explain myself. Growing up, there were a few things my mother did not allow in our shopping cart. She was adamant about sugar-free gum only, never allowing anything gummy or chewy (see ya later Fruit Roll Ups! ), and only sometimes letting us get a slightly sugary cereal as a treat (the limit was at Cocoa Crispies or Fruit Loops, though). 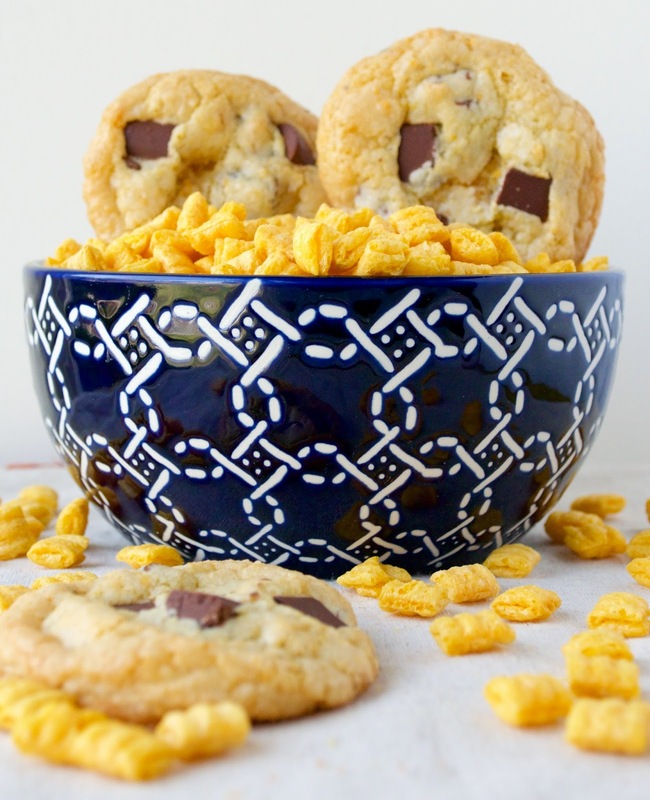 She never EVER let us go to the extreme with cereals like Reese's Puffs Cereal or Cookie Crisp. Also on that list? Captain Crunch. I am glad my mother had limits, though. I'd like to think it made me shop better every week and make better food choices. The world is sugary enough, let's not take over breakfast, too! 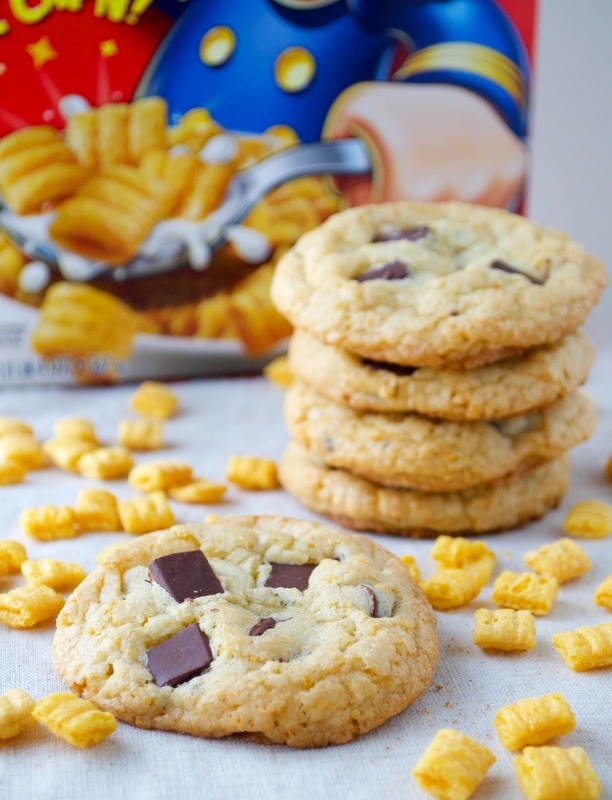 So, for the first time ever, I bought a box of Captain Crunch so I could finally try out this recipe. The box was huge (thanks, Target!) but Cody was more than excited to eat the leftovers. 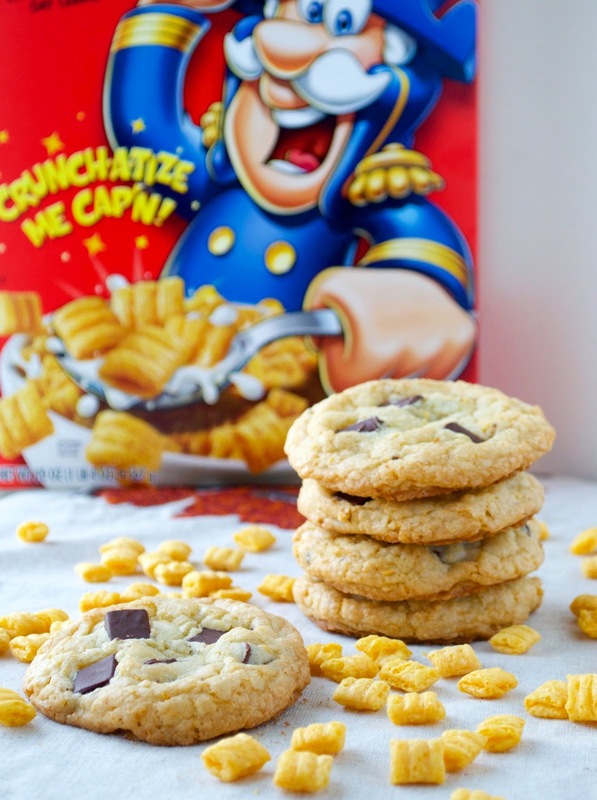 I had a bowl for the first time the day after I made the cookies and I am now a Captain Crunch fan. Sorry, Mom, but YUM! And I didn't even get the kind with berries! 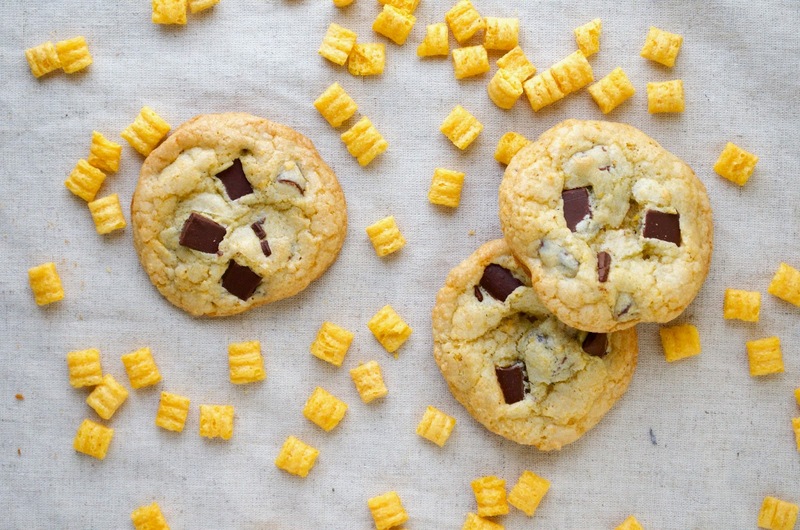 Just like when in a bowl with milk, these Captain Crunch Chocolate Chunk cookies are very YUM. 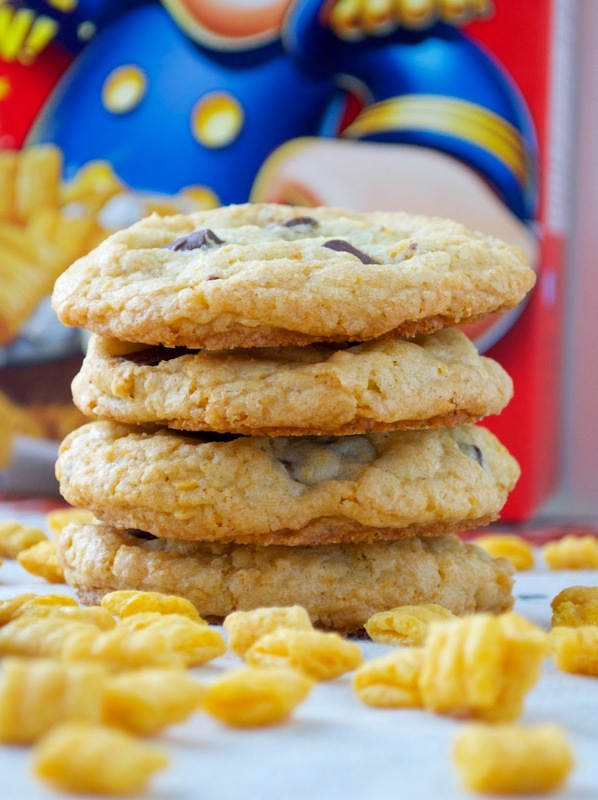 They're crispier than your typical chocolate chunk cookie. 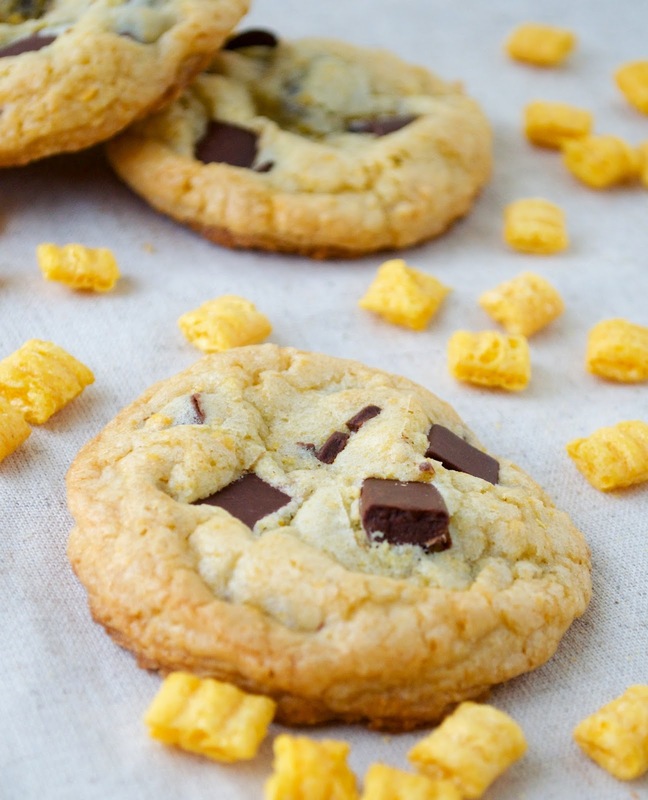 They're a flatter cookie with slightly crunchy edges and a chewy center. 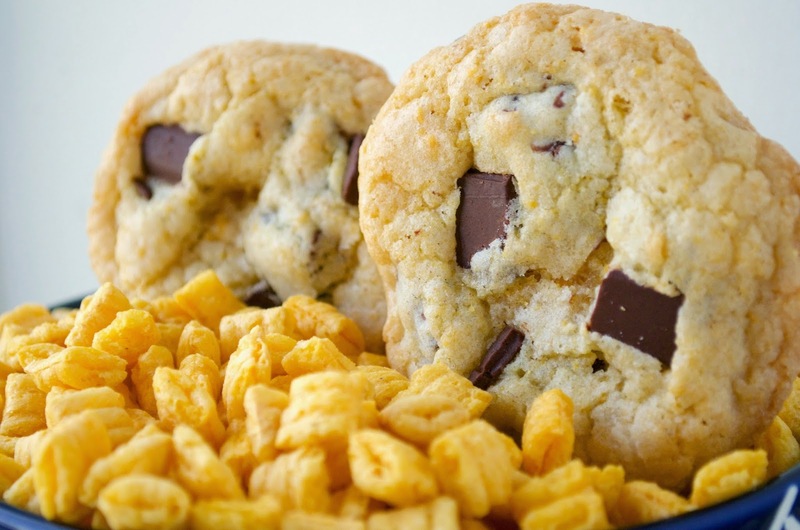 I kinda like the change from the norm since I tend to enjoy my cookies puffy and soft. I also love using chocolate chunks instead of chips from time to time. You gotta mix things up a bit every now and then, right? 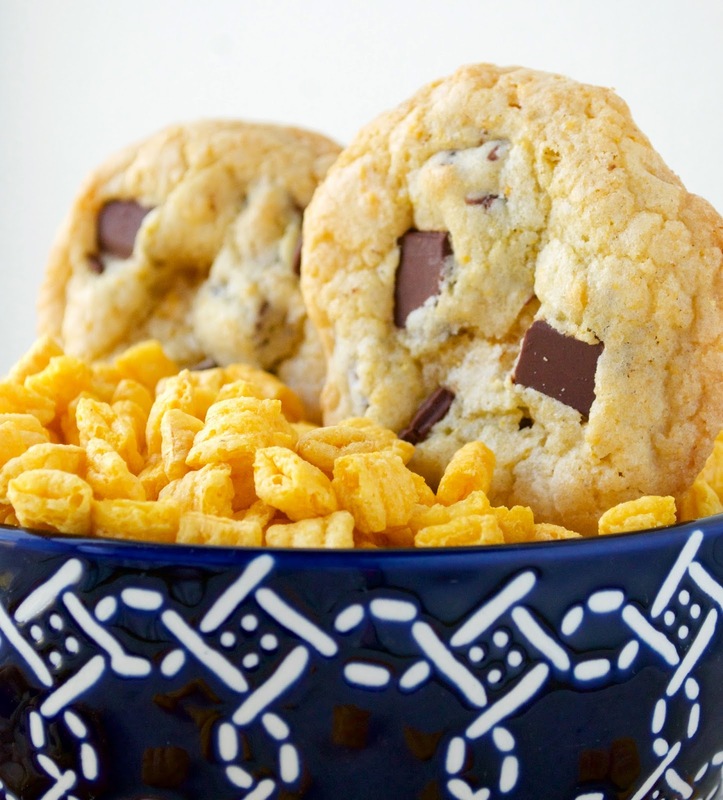 They worked so well with these cookies, too! And what's not to love about a big chocolaty chunk in every bite? Nothing, that's what! In your mixer, combine the butter and sugar and beat on medium for 3 minutes. Add vanilla and beat for another 30 seconds. 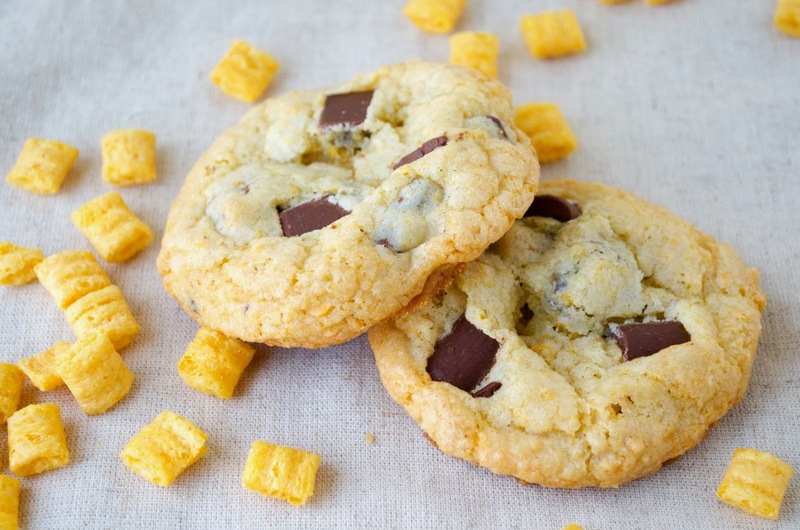 Reduce to low speed and add the flour, Captain Crunch crumbs, baking soda, and salt. Mix until combined. Drop dough onto sheets using ice cream scoop. Let cool on sheet for 3 minutes before moving them onto a cooling rack. 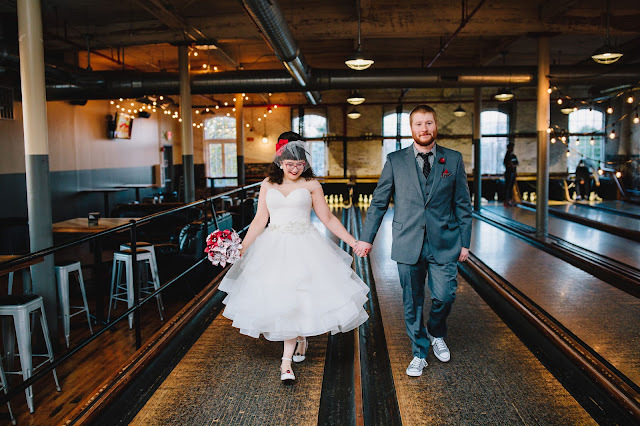 1 Dress, 3 Ways: the Amazing Little Black Dress!